Trusted Saskatoon Cleaning company now offers Home Organization & De-cluttering Services! A & C Detail Centre & Residential Cleaning Adds New Services. A & C Detail Centre and Residential & Commercial Cleaning Services are a Trusted Saskatoon professional auto detailing and a Saskatoon residential and commercial cleaning company. A Saskatoon family-owned business, they base they're detailing to suit their customers’ needs and preference. 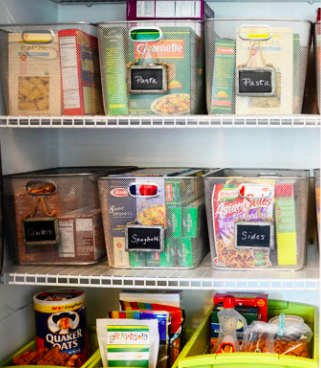 Their new service can even include labeling, storage containers and much more. Free estimates are included and a clean-up after they are through. A&C Detail & Residential Cleaning are Trusted Saskatoon Auto Detailing Pros and Cleaning professionals and you can find them in our Saskatoon Cleaning category. http://www.trustedsaskatoon.com/listing.aspx?lid=184The decision to purchase your home is one of the most important decisions you will ever make, and will also be one of your largest investments. Done right, it can also be one of the most exciting and fulfilling times in your life! Kari Calder a Saskatoon Realtor with Century 21 Fusion is there to help you through the process, and provide you and your family with the peace of mind that comes with knowing that you have a realtor working with your best interests in mind. Kari Calder is a Trusted Saskatoon Realtor! Kari Calder donated to the Saskatoon YWCA’s adopt-a room program! This wonderful program is being supported by 98 Cool and Christmas 365. As a result of her generous donation and thanks to the kind folks at Pizza Hut, we were going to throw a pizza party for Kari’s office. Kari decided to use the pizza to give back to a local charity that is close to her heart! Kari is a mentor/ fairy godmother with the Saskatoon Princess Shop, and they held a Christmas party for the participants in the Fairy Godmother’s Program. Kari thought the kids in the program would appreciate a Christmas treat. Pizza Hut delivered 10 extra large, and delicious, pizzas for the party and a great time was had by all! Thanks to Kari for her generous donation to the YWCA, and also for paying it forward. 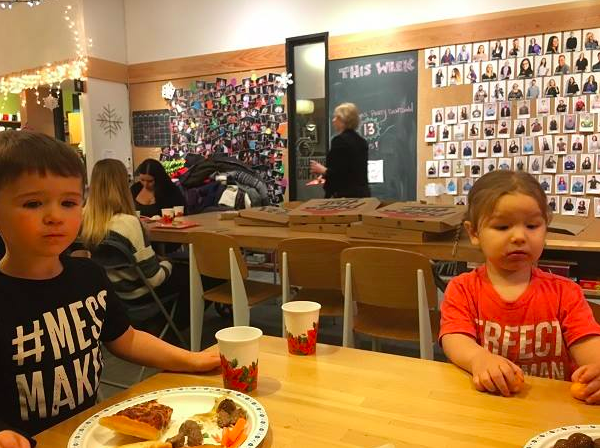 Pizza Hut came through BIG TIME and in the giving spirit have said that if another individual or group adopts a room at the YWCA they would be thrilled to provide another pizza party to celebrate and say “THANKS”. All donations can be made though Joy-Ann at the YWCA. The Trusted Saskatoon directory team and the Trusted Saskatoon community of local businesses run with integrity also send our thank you's to Kari Calder- a Trusted Saskatoon Realtor! Palliser Rooms EQ3 is an independent furniture store that has been operating in Saskatoon for fourteen years. The store specializes in offering a generous selection of contemporary furnishings (predominantly Canadian brands) and a personalized service that is forward-thinking and client-focused. Customer reviews describe Palliser Rooms EQ3 as a "great shopping experience," "with exceptional sales staff," "best displays and best furniture in town," and the kicker: "great delivery service." The comments reflect the company's commitment to providing excellent customer service and speak to their impeccable taste and attention to detail. The Children's Wish Foundation has worked tirelessly for over 30 years to bring joy to children struggling with serious illness and their families. The bravery shown by these children & families, as they face the many challenges they do, is truly inspirational. We are a long-time supporter of the Children's Wish Foundation and donate annually to the organization's fundraising events. To give a child and their family some happiness during a dark time and a memory they can cherish is a cause we can all get behind. This holiday season, give a minimum donation of $50 to the Children's Wish Foundation and receive a gift of $200 towards your purchase of Stressless seating OR $400 towards the purchase of a Stressless Peace Recliner at Palliser Rooms EQ3! Visit our Stressless Gallery today at 2125 Faithfull Avenue in Saskatoon! Offer ends January 15th, 2018. Some restrictions apply. Speak to your sales associate for details. Find Palliser online at www.pallisereq3.com or go to their listing in SASKATOON FURNITURE here, or go and visit their massive showroom on Faithfull Ave, Saskatoon...they are on the Saskatoon directly of excellence...they are your Trusted Saskatoon Furniture store!